Do Cats Have Good Memory? While Snowball may not remember what dress your were wearing yesterday or the last American Idol winner, cats surely can prove to have a good recollection of events when it comes to memory. 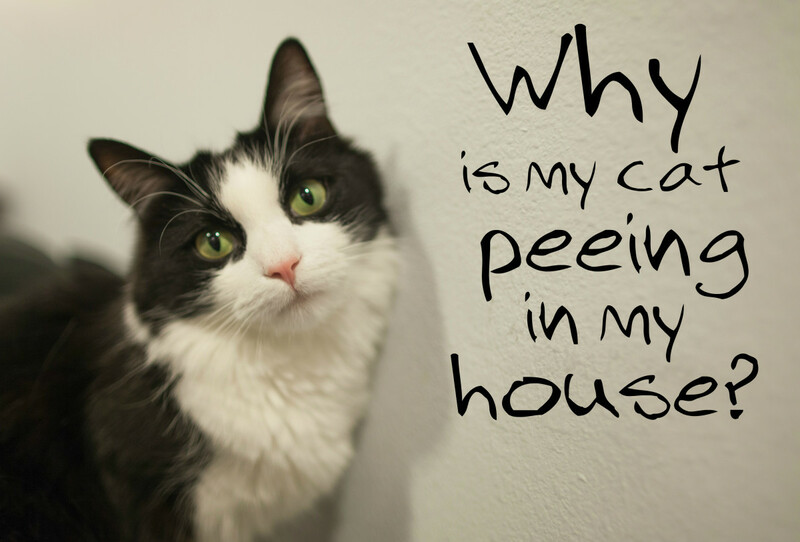 There are many testimonies to this if owners of cats watch their feline friends closely. A cat's recording of events seems to be particularly relevant when associated with pain or pleasure. These two opposite yet remarkable feelings seem to leave an imprint mark in a cat's mind. 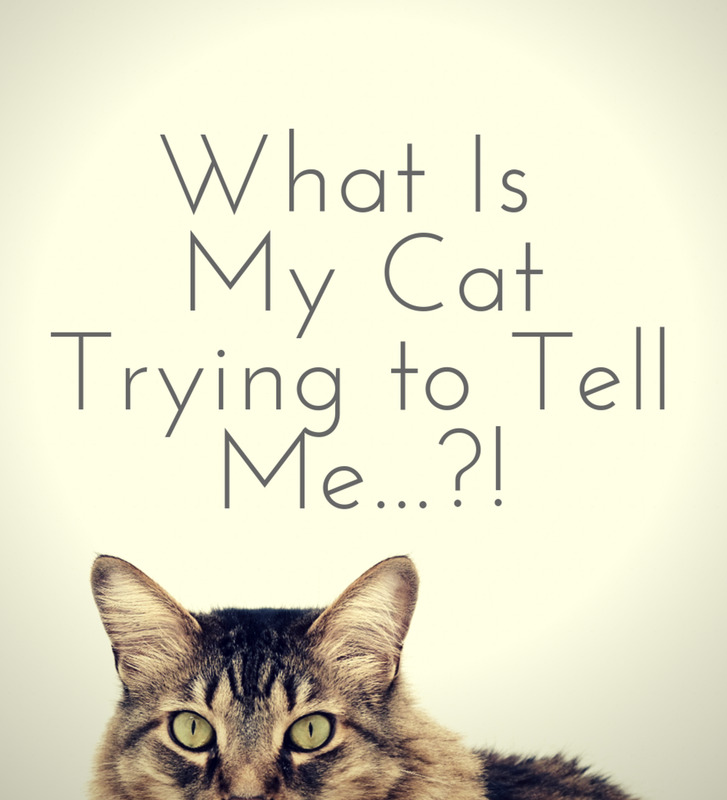 Let's take a look at how painful or stressful events remain vivid in a cat's mind. For instance, the majority of cats will go absent without official leave upon seeing their owners grab their carrier. This is because cats have quickly learned to associate (thanks to memories) the carrier with something unpleasant like being carried out of their familiar territory. Cats may be become tense upon going to the vet: most cats will remember that is the place full of barking dogs and nurses that stick thermometers up their behinds before getting repeatedly punctured by a vet that had a bad day. Your cat may also hide under the bed upon seeing you open that pill bottle ready to throw that nasty tasting tablet down the cat's throat. Cats may also remember that uncle Joe dislikes him or her and will never forget getting pushed away from the couch when they tried to approach him purring. 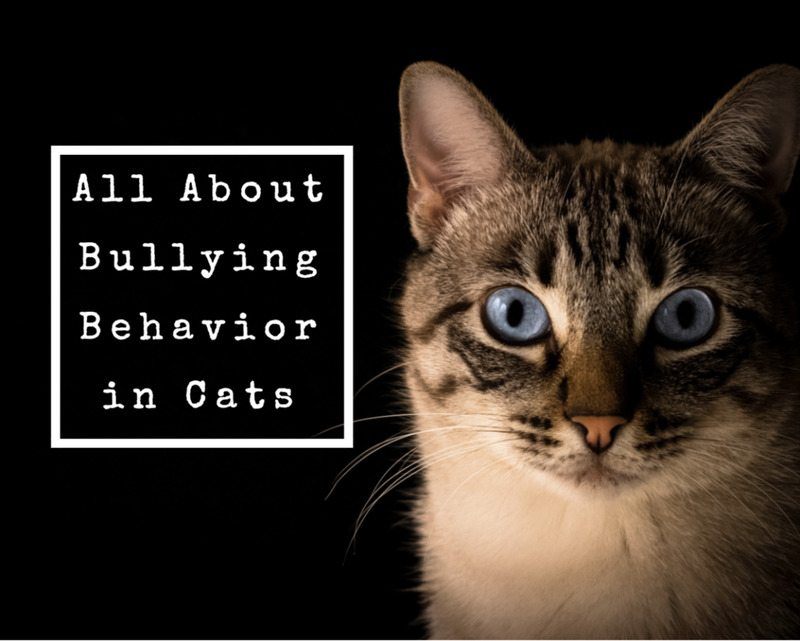 Abused cats may seem to remember through fear, owners that mistreated them or worse resorted to hurt them. Good memories are obviously much more pleasant to cats. 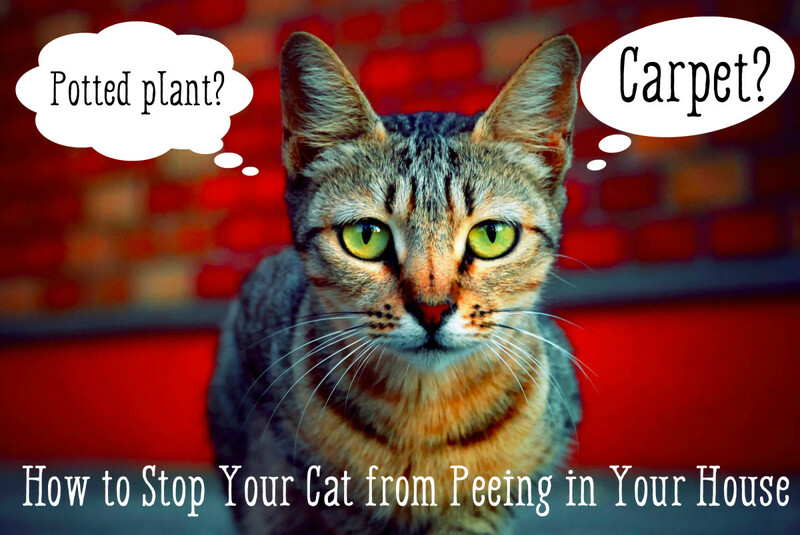 Your cat will remember that when you come home from the market (which cats perceive as your "hunting session") you will bring home some great canned goodies and that when you turn the can opener very likely some tuna juice will follow. 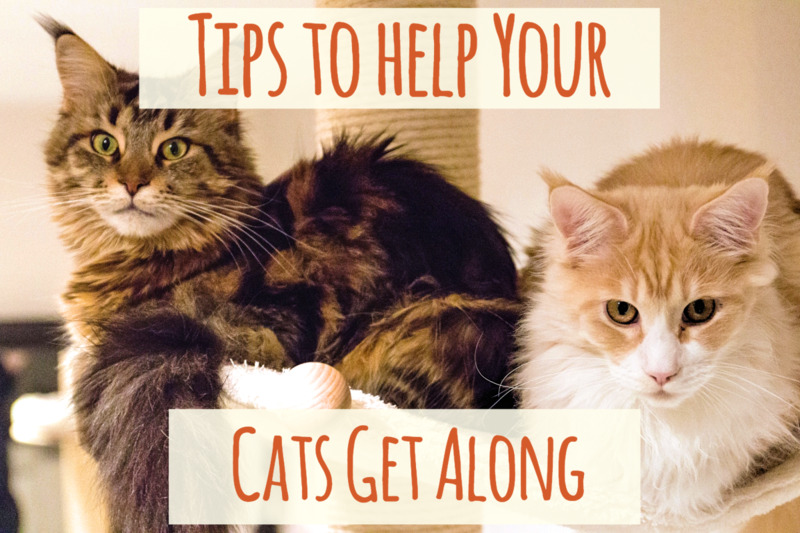 Your cat will also remember that Aunt Rosie loves to exchange some nose kisses and that nice little pats and scratches on the ears will follow. Cats that are leash trained will remember that the leash is something positive that allows them to get some fresh air and see the chirping birdies. trust them throughout their lives. Isn't this after all a great example of how cats remember, and very well indeed? While most cats seem to remember easily demonstrating a good ability to recollect events well and associate facts with happenings, long term memory may seem challenging to prove. However, I can attest to that from personal experience. My feline Persian cat of 10 years old lived with me in Italy with my parents and I, for a good 5 years. Upon getting married, my hubby receiving orders to move to Germany with the Army and it was a sure fact that my dear kitty had to come with us. We spent a good 3 years in Germany for the whole length of the assigment and then we were sent back to Italy. It was hard to believe that once back to Italy, once my cat was thirsty, after 3 years being away from that home, she went straight to her water bowl which was right under the table in the kitchen. Uncertain if this was a coincidence or not, I had to believe myself again when she had to go potty and she headed right out the balcony and went inside the covered box that was left as is, from when we left. She also remembered her favorite sleeping spots and occupied once again that nice area right where the sun rays hit the couch. Cats are surely remarkable and fascinating animals to study. Just when we think we know them so well they will surprise us with their smart acts suggesting a higher than expected intelligence. I am sure cats have both a short term and long term memory and that if given the opportunity, they may be able to prove it, whether you believe it or not..
Jason, did your cat come back? I really hope he does! Cool! This proves my suspicion cats have phenomenal memory. I thought so when my cat went bonkers when he heard me pick up a toy I had put away. He did not even see it and he only heard me picking it up...nothing else. It had been over a year that said toy was used since I had moved and it was put away. I was floored that he remembered the specific noise, which to me was no different than a set of keys I normally pick up. I had a neutered, born feral and adopted originally as a "barn cat" by my landlord, which transitioned to indoor/outdoor by following my cats home, which were originally also born feral and were adopted to be "barn cats". 17 months ago , I moved from the 20 acre property in Truckee CA where these cats and I resided to a 3 bedroom townhouse across town in a mountain resort community called Tahoe Donner. The landscape is similarly wooded, bordered by national forest land, but the lot sizes of homes are smaller and neighbors closer. Because the house was large, I decided for the safety of the cats, I would keep them as indoor only cats. The cats didn't seem to mind because they always seemed so relaxed, happy and having a lot of fun. It brings me so much joy to watch them play and be so loving to each other. However,since these cats were born feral and didn't have much human contact their first 30 days as adopted kittens (they were not going to be house cats originally), these cats, although very affectionate are not 100% trusting of me. In different parts of the house, some of the cats do not like to be handled. But all the cats seem to be the most trusting and comfortable, snuggling up to me for brushing, petting, in the my bedroom. The other night, the cat got out when he jumped on the window screen to catch a bug, and I, not knowing the cat got out closed the window ( escape point). He was unable to reenter the house and spent the night out. The next day, I made the mistake of replacing the screen window to keep my other cats from exiting the house and that night, I closed the window. What I should have done was to secure the other cats in another room and leave the window open for the cat to reenter by way of exit. The cat made an attempt to reenter but couldn't. It was a vigorous attempt because the window screen was smashed bent. I saw the cat the next day sitting on the retaining wall behind the house about 30 feet from the window escape point. I called out to the cat from the escape point window, but the cat turned it's back to me and retreated into the woods. Is the last memory this cat has of me is that I didn't let him reenter the house? This cat is the most affectionate of all my cats and one of two cats that likes my lap. Throughout the day and night, this cat has shown me, and given me so much affection, I couldn't understand why he rejected me instead of running to me. I am not sure, but his inability to reenter the house might be perceived as being abandoned and I causing harm to it . I have also read that cats thrust into an unfamiliar environment will lose memory of their owners after 72 hours and the owner will be a complete stranger and perceived as a threat. I have been calling for him day and night, first putting out food and water, then his bed and toy for familiar scent. I have gone into the woods in the early morning hours(1am-5am) , with an open can of food, kibble being shaken in a tin bowl and softly calling out his name, Van Gogh, Van Gogh, Vanny ,but to no avail. I removed the food and water, as it could attract other animals whose scent would scare the cat away. Last night, I grilled a piece of salmon as there was a light breeze, hoping the breeze could carry the scent of food to the cat. I couldn't even eat this beautiful piece of fish knowing that my cat was out in the wild; thirsty, dehydrated,very hungry and maybe injured from his aggressive attempt initially to reenter the house . Tonight will be one week since Van Gogh got out. Tonight, I am going to camp out where I saw Van Gogh last, hoping that he sees me sleeping from where he is hiding and jars his memory, and remembers all the cuddling and affection he received when he jumped on my bed to visit and return home. And they do, and I have another story to prove this. Two years ago, my hubby's dad got sick and we to move overseas, we took along our dogs but we could not take along the cats. So a neighbor watched over them for over a year. When we came back the cats acted happy to see the dogs, while my neighbor reported they hated other dogs! Whenever it's raining and my cat comes in from outside I get a towel out to wipe her down, especially her paws so she doesn't trample mud all over the house. She now knows to hide under the table when she see's this towel, although give her some food first and she'll be too preoccupied to care that you're wiping her down. As for fear my dad has shouted at the cat a bit and she tends to avoid him a lot. He wonders why and I keep telling him it's probably because he's shouted at her in the past, plus he can be a bit noisy generally and I don't think she likes that. She won't even come in for him when he opens the front door and she's waiting outside, only coming in for me. Our old cat used to run upstairs as a kitten and jump into the bath, having a lot of fun just sliding around. You know what's coming, right? Someone let the cat in and my mum was filling the bath, he ran straight up and jumped into the water. Guess what? Yep, he never did it again lol. Great hub! My cat has been with me a little less than 3 years, but she still acts scared if I leave her alone at night, or when she wakes up in the dark in a different room than me. I think she had 4 or 5 previous owners, plus spent time in an animal shelter, all during her first few years of life. Ooh, moonlake. Thank goodness he was ok! It's amazing how they remember everything, really. Mine rarely needs meds, but when they do, I have to hide it behind my back and walk casually over to them so they won't see the dropper and freak out! We have our cat treats in the pantry in a jar. One day the cat wanted a treat. I picked up the jar and it slipped out of my hand, hit the cat. Thank goodness, he was ok. He has never forgot. He won't take treats from me only from my husband. Enjoyed your hub vote up. Fascinating hub, as I think cats are fascinating creatures. Oh, yes, they remember after much time has passed. I really enjoyed every word of this hub. Many vote and sharing! Oh, and you just reminded me that I haven't given one of my cats his antibiotics today for his gum inflammation. Dang, I dread that. My feline friend BANDIT and i moved to different house last year. He had only been in the house 30 minutes before he and i went out to the back yard. Before we went out he smelled the recliner were his food & water sits in. we were outside a few minutes and i went around the corner for less than a minuite, next thing i know he is no where to be sene. I looked for him all over the place yelling his name. He was gone for 5-6 hours, about 9 that night i heard a meeooww at the sliding glass door, and there was bANDIT. The recovery time may take some time. Try using a Feliway plug-in. Sounds like he has been traumatized. Give him time, he should warm up to you once he settles. best wishes! great hub! I think cats have great memory too! My cats were away from my home and dogs for over a year (my neighbor kept them while we traveled overseas with our dogs)and after all this time they remembered the dogs and house as if it was yesterday! I agree with cat memory; they are so smart. One cat I had woke me up on the middle of the night with a shoe string hanging from her teeth...she wanted to play! As for the memory of the cats, it's really good. I have a weird thing with cats. I used to have a male cat who was about 4 and we were fine we were living together for like 3 years. With no problems! Then out of nowhere I was sitting in the living room and he was at the other side of the room.then he suddenly came running at me hissing I jumped away. About a week after that I came into the room and he had been fine then he saw me ,hissed ,&ran away. I found out after he left the room, that he had pee himself. This cat died. So my family got a new cat a male kitten he has been with us since may 2011 about a month ago he started to act strange I was walking down the hallway when I seen him watching me , in the crouching position as if to pounce, he jumped and surprized me. He didn't jump at me straight up he put his arms to the side and legs looking like a star! And tried to jump on me. Ever since he now stalks me around the house. I will be in my bedroom and he will be watching me then I will go to the kitchen and look around he corns and find him right behind me. He doesn't look at me normal his eyes get all huge as if he is frightened. This hasn't stopped since. I also have a female cat I have had her longer then the first male cat. She has never attacked me once. Is my problem just with male cats? Or is it something else? My grandmother said it could be something with my aura that could cause the cats to react like this. I have no clue. Doe somebody know anything about this? Webgirl, With years of owning cats and dogs I came to the understanding that cats do not understand the concept of ''medicating'', such as giving meds, giving injections, medicating ears, eyes, or taking a temperatures. For most cats it is something unpleasant we are doing to them. Unless, one dedicates a tremendous amount of time giving treats while medicating, most cats will resist such procedures. It is not your fault, this is just how cats are. It is hard to say if this is your cat. Yes, I believe some cats will come if you talk to them and perhaps they are hungry. But from your description it looks like he may likely be your cat. Perhaps the best way to know if it is truly him would be to take him home and see if he would remember where he must go potty, where his food and water bowl is etc. I was in Italy for two years and a neighbor kept my cats for the time being. Now, that I am back, both cats remember our home, they adjusted fast and they also remember our dogs. I know this was impossible if they did not remember, they would have hidden somewhere and ran away from our dogs as they did with other dogs my neighbor had. They just felt at home. I would not rely much on your cat's reaction to him once home as cats may react oddly when cats are away for some time. For instance, at the vet's office I worked at, if one cat went under surgery, once back at home, the other cat hissed at it, because it smelled different. We told clients therefore to get a shirt and pass it on it so it would smell again like home. I hope he is the cat you wish he is, and that you can have a chance of bringing him back home. Best wishes. Also, my other cat (Puma) has gone through crying for him, acting like he depressed, and not really being himself since Butters has left. I have kept Puma inside more and I now accompany him when I do let him outside. Puma is more attached to me and senses the deep loss of Butters. He also used to be more energetic and playful but now just lays around and doesn't do much of anything. I believe I have found Butters but dont know how to get him back. How do I get Butters back? Even if I call his name, he doesn't run back to me. Is it because he thinks I will give him medicine and get him wet again? Can he forget me, Puma, so quickly? 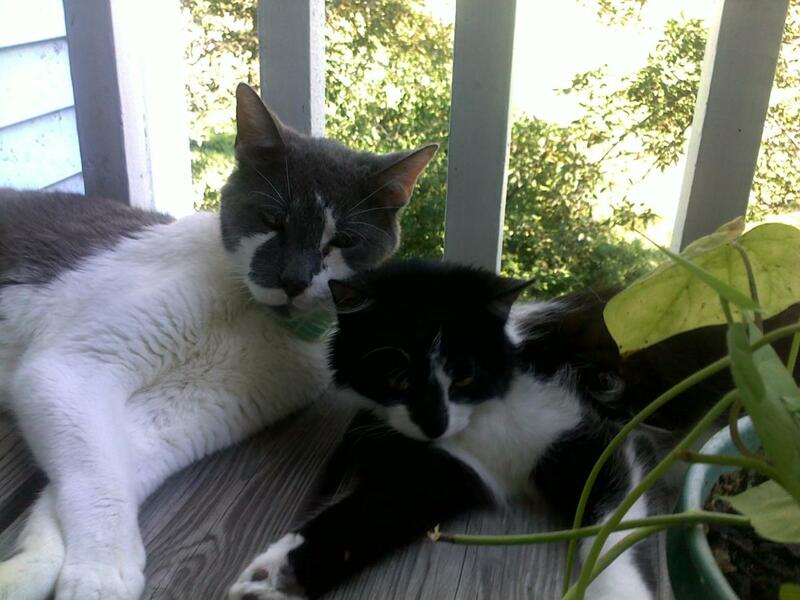 I was given two cats, American Shorthairs, about 4 years ago. They were two brothers, one more dominant (Puma) than the other (Butters). They did everything together, played, wrestled, groomed, and occasionally fought with one another. I was told that they should never be split apart and they weren't. I fell in love with both as they are very affectionate and loving. This past summer, Butters developed a seizure, became stiff, and wasn't himself. It seemed like he walked into the walls, couldn't jump up on the bed, or eat, or drink anything. I took him to the vet, where she mentioned to me that it might be the fillers in the dry food he has had for all these years causing him to almost be dehydrated and lethargic, causing this seizure. She mentioned another type of canned cat food and I immediately did this upon taking him home. He refused to eat, so I gave him food, water, and medicine in a eye dropper with water. I also gave him some Pedialyte with water to prevent further dehydration. He still wasn't doing well when my son accidently let him out of house. He ran under the porch and stayed there. I turned on the sprinkler so that he would not run away. I didn't realize that the water was spraying on him at the time, so I immediately turned it off. He cam out from under the porch, wet, and I tried to run after him to catch him, knowing that if he ran, he may not come back. That was August 2nd, 2011. He did not return the next day or since then. I put fliers out and have gone all over the neighborhood looking for my cat, whom I dearly love. I feel guilty because I think he left me because he thought I was treating him badly. Now, after many sightings of my black cat, I saw him yesterday after I thought he had died. I walked up to him in a field where he was sitting, and I sat on the ground, calling him by his name. He at first tried to run away but slowly came back and was meowing to me when I was calling his name. He was a bit smaller but I could tell it was him by the way he walked. He walked into my lap and I petted him gently. I then immediately picked him up and then tried to get up from the sitting position. He started to hiss at me, scratched my hand and chest, and jumped out from my hands and ran away. I ran after him but couldn't find him. I went to all the neighbors, and they know of him. I went to the girl that also owns a black cat. She says that she has owned this cat for a long time, but yet says to me that "You can have the cat". Why on earth would she say that if she owns the cat? My question: Could my cat have left me because he thought I was mistreating it (when I was just trying to feed it and give it water and medicine) and also got it wet by accident and gone to another house to live (or worse, lives by itself, hunting in the wild)? I know this was my cat (it came to me and was meowing when I was calling it). Also, would another cat come up to me if I was calling it by another name and meow? Thanks. Interesting hub! I never thought that cats can have memory this great. I do not think I will ever have another cat or dog because of the pain of loss of previous pets, howeer your story brought back some wonderful memories. I know horse, dogs, birds and cats respond to imprinting. I am not sure about other species though. I've heard about the imprinting thing in the Twilight series. I see that cats can do that too. Or all animals imprint? Dalene, sorry to hear your cat is going through such an ordeal. To tell the truth, cats generally do not do well in a hospital environment. There are scary noises, new smells and barking dogs. Yes, they are treated by the caring vet staff, they are in safe hands, but psychologically, cats do best in the home. But of course, this is not always possible. In serious diseases, being monitored by veterinary staff and having access to IV fluids, and other medical equipment that cannot be used at home is a must. But yes, cats can be stressed in a hospital environment and the first thing that goes away in these cases is the appetite. You really have to evaluate the pros and cons of the situation. It really ultimately depends on the severity of the disease and need to be monitored and given IV fluids etc. I would discuss the chance of taking over at home with your vet. I have seen cats do miserably at the hospital and recover at home, but I also saw cats continue doing miserably at home because they were simply too sick. Consider though that at the vet's often cats are left all night on their own and nobody is there if there is a worsening of the condition. Ask your vet if there are staff there overnight. If your vet claims that ''yes, you can try home care'' then perhaps you can give it a try for a couple of days. You should see soon if there are signs of improvement. Generally, if the cat has been stressed at the vets' the first few hours may be spent hiding, but after smelling familiar smells she MAY (I use this word with caution)feel better and perhaps even try to eat. I think investing in a pheromone plug-in diffuser plugged in hours prior to her coming back may help her if she is too stressed. Also cooking some chicken or fish may saturate your kitchen with yummy smells that may entice her to eat. My cat is in Hospital for tick fever. She is 6 years old. After all the medication and drips,she still does not want to eat by herself, and the vets are feeding her with a tube. She is getting weaker by the day and they said she might go into heart failure. This was devastating news to me this morning, as they told me yesterday, that her illness has not gone over into the yellow fever, wich is the serious effect of the illness. her redblood cells does not improve. My real question is this; do you think this could be emotional stress from her side, of missing home, and maybe feels like we have abandoned her? although i visit everyday? What impact does hospitalisation realy have on a cat emotionaly? It feels like I want to go and grab her and comfort her here at home with her familiar, happy surroundings, and just take her everyday for her medication and check ups. The mother cat is also at home and is searching for her. It breaks my heart. These 2 male cats also had the most adorable habit of sending me off to work every morning. They live in a quiet side lane with long rows of houses. Every morning, the young cats will trail behind me when I set off to take the bus to work. When they get about 50 metres from the busy main road, they would stop and sit by the side of the road watching me until I am out of sight. That was the end of their send-off ^-^ The first time they did this, I was terrified they wanted to follow me to work! I kept stopping and shooing them back but it didn't work. They stopped when I stopped and started trotting along when I resume. Last year I went to stay at a friend's holiday house for 3 weeks. It was easy to befriend the cats on the estate (a gated community, cats have owners). As an ardent cat devotee, I was always good for sessions of petting and the occasional kitty treat when meeting any of the cats on my walks. 2 months later I had the opportunity to revisit again. I walked past one of the houses which belong to Rookie, a young light ginger tom. Suddenly I heard a meow from the surrounding bushes. Rookie appeared to greet me and we took up as if I had never left for 2 months! Rookie had never meowed at me before since he was usually in plain sight outside the house and not hiding in the bushes. It was obviously a cat-to-human greeting, as said human with lousy eyesight was about to walk past his house without seeing him. Rookie could correctly identify me after 2 months. I should mention that I always use an umbrella as protection from the strong sun. From my distinctive silhouette, Rookie identified me, called out to me to stop and play with him. In fact all the cats and the only dog from the estate community remembered me. I didn't have to re-introduce myself from scratch. Btw I didn't live with these cats and dogs. I probably interacted with these cats and dog about 6-10 times during the initial 3 week stay. As mentioned above, I housesit for friends when they go away for vacation. My friend's cat Whisky could tell when I am going out (at different times). I am not exactly sure how she knows, either from a change my body language (brisk purposeful action getting ready) or getting my bag ready. My mum thinks that Whisky notice that I change into going-out clothes; I usually wear capris when heading out and lounge around at home in shorts. This is a Great hub all cat lovers can surely appreciate. I' always amazed at how our cats seem to know certain actions mean certain things. One of our cats is actually like a dog, always greets us at the door when we come home, and also runs to our aide when she thinks we are being threatened! This latter one is real hilarious sometimes, we'll be horsing around and someone will scream, Bubbles will come running and sometimes has even jumped at and bitten (not too hard) who she believes is the naughty one! I love cats, and I love this hub. Voted Up and Awesome! Great hub! voted up and awesome! I have some hubs about cats aswell, check them out if you want to! I'm sure a lot of your cats will remember you guys. I wonder if it depends on the cat, though, like people (how some people are good with faces and names, etc.) But they seem to remember things pretty well. I went out of state for college for a year and had to leave my cats at home with my parents and sister. One of them (our only boy cat) would only cuddle with me--right on top of my chest with his head laying on my face lol. I'm a guy, too, he was always my buddy. Even when I went off to school, he didn't cuddle with the rest of the family and would sometimes apparently go in my room and cry. I came home and went to a school closer to home after that year, due to homesickness (mostly for my cats). He seemed friendly around me, but didn't get back into laying on me right away. He soon got on my bed and lay up against me, and eventually eased into laying on my chest again. Now for the last few years he's been crying so that I'll lay on my bed to cuddle (bossy little guy). I'm the only one he'll lie on even today. The rest of my family is jealous. I think he was initially apprehensive that I might just be there for a short time, or was upset that I had left. Didn't last too long though. So if you get home and your cat doesn't seem friendly immediately, it might be just an initial apprehension at seeing a "new" face after all that time or maybe a little punishment for leaving, but generally it seems they forgive pretty quickly. My other cats are all affectionate with me too, but he's always been my little buddy so his moods were most prominent to me. I would have faith that they would remember, especially if you've had your cat for a while before separation. I've had my cat since he was a week old (we fostered a mother cat and 5 kittens, and kept one of the kittens). 8 years later I was going to college and I was worried he wouldn't remember me. But even though I'm gone for months at a time he definitely still remembers me. His skittish around strangers, but whenever I come home he's glued to me. He knows who I am right away. ? yes cats are really smart!.. cats are extremely smart and i definitely think they have great memory. i have 3 cats myself and they are all incredible and very unique. thanks for such informative article. It was very useful to me. Cats do have great memory. They are special animals. Thank you for the excellent hub. I adopted a cat (Bradley) 4 months ago from the Humane Society. His is 3 years old. I already have 2 other cats at home that we have had for 6 years and they are both around 7 years old. Bradley had been found wandering the streets with a bite wound on one of his back legs. We don't have any other histoy on him. When we brought him home we had a hard time with him scatching or biting us when he didn't want to be touched. But over time we learned his body language and he settled down with us. He became my super loveable cat. However, he was too rough with the other 2. Our other male cat is very passive...and Bradley would stalk him and corner him. Bradley didn't know how to play without using claws and would leave scratches on our male cats muzzle area. It's like he was never "taught" how to play with others properly. We started to notice a change in the personalities of our other 2 cats...and not for the good. So we made the hard choice to return Bradley to the Humane Society 2 days ago. It is breaking my heart! I love him so much. But I understand this needed to happen...so I'm worried about Bradley because all he knows is one minute he was sleeping happily on our bed, and the next minute he was in a cat carrier being taken back to the place he was before. Last time he was with the Humane Society for 3 months. It is totally possible that could happen again and I am worried how this will affect him. Will he remember us and wonder why we abandoned him? Will that affect his ability to love his next human? I think people underestimate our pets too much. When my nephew came to visit after being away for a whole year, I didn't expect my cat, Valentine to even care that this little two year old was around, let alone remember that he had existed in the first place. But when I had my nephew sitting on my bed, my cat, Valentine jumped up on the bed next to him and laid down, as though it were something he did every day. Now, Valentine is not a shy cat, by any means, so it's not surprising if he's nice to a stranger, but to jump up and lay down next to a two rowdy two year old? Now that was saying something. I really think my cat remembered him, even though he had changed since we last saw my nephew, and was laying close to something familiar. It was a very sweet moment. I feel each and every pet animal is sensitive, loyal and has good understanding. Yes, my cat has xclnt memory. Alexadry, this is a great hub. You've made it easy for cat and 'non cat' people to understand just how amazing these wonderful animals are. 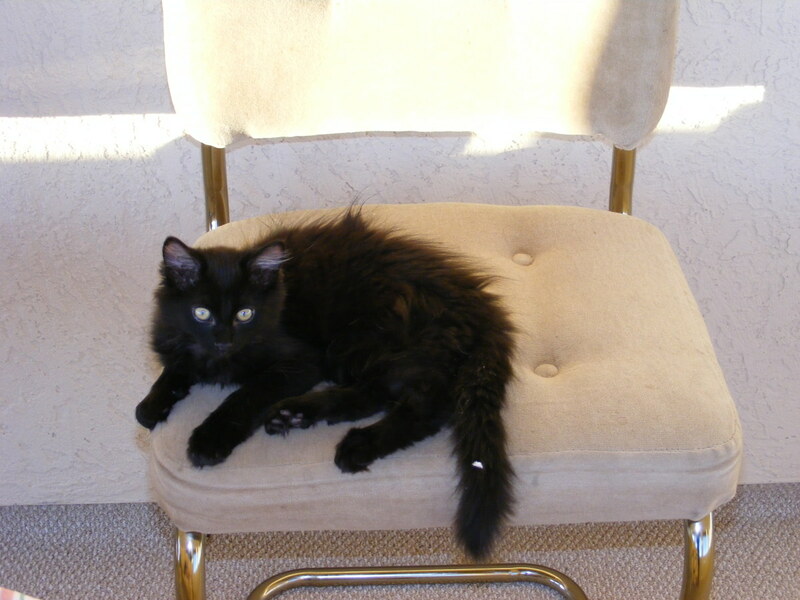 I have many cats now, and over the years and they are just as you 've said...I once moved from my home to another area for a while; I took my kittie w/me..when we returned, she ran to all her familiar places and acted as though time had not passed. 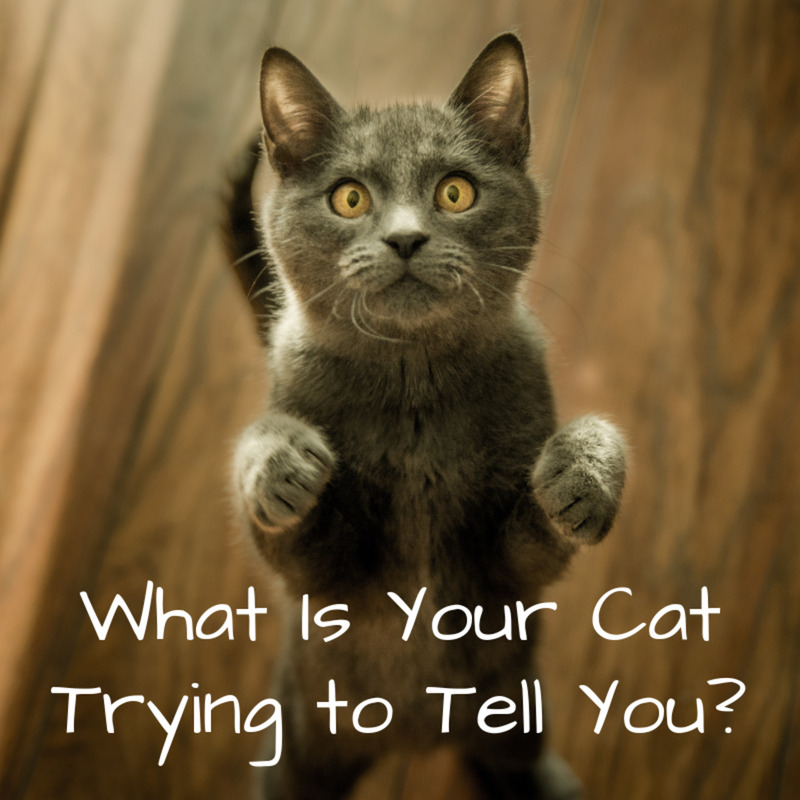 Your answers here to other hubbers are very intuitive and I believe you have a great understanding of cats. Thank you! I'm a student studying abroad in Italy. I've been gone three months, and I'm worried to death my cat won't recognize me when I come home. He's 7, and I've had him since he was just a little over a week old. Will he remember me when I come back? I know you've this question millions of times, but he's getting older and I'm sure that plays a factor when it comes to memory just as it does with humans, so I'm curious (and hopeful). Arner, I am sorry to hear about what happened. It would probably have been best for his sister to see him once they put him to sleep. It appears that cats understand the concept of death and come to terms with it. By not sniffing death, she may think he mysteriously came amiss and is looking for him. At least, this is why at the vet we often recommended other dogs and cats to come witness the death of their best friends. Anyhow, it is difficult to say how long she will be looking for him. If you have his ashes, she should get a sniff of them to accept his death. I would think that time forgives everything and she should come to accept he is missing within the next month or so but it is really hard to estimate. She may still have flash backs every now and then when she sees something that reminds her of him. I am very sorry for your loss,try not to comfort her too much and try to move on with a positive attitude, she may feed off your feelings. best wishes! This weekend has been really bad for me and my cats. My cat had four kittens two years ago and I kept two of them, brother and sister. They became unseperable almost immediately. They were a duo, everlasting companionship. They were everywhere together, slept at the same spot, comforted eachother if they were scared of something, cleaned eachother. Just everything, they did it together. Over the last month or so, the brother had been going to the vet because of urinal problems. He was having problems with it. Yesterday I took him to the vet yet again and they found out his bladder was full of blood and his kidneys were severely damaged. There was nothing they could do. They gave him just a few days to live, but it would be in pain and weakness. We decided it was best for him to just sleep. The long sleep. The sister is a very small and nervous little girl. She was so attached to her brother, like he was to her. Now she is looking everywhere for him. She smells him and searches. She cries, calls out to him. She plays with toys that always interested him and made him come out from his hideout. But he doesn't. I feel so bad for her. A perfect brother and sister duo has been ruined. I wanted to ask you guys, how long do you think she remembers him and how long will she search for him? It pains me that she is in such pain and sorrow. She doesn't know what happened. She constantly searches for him and looks at me with this questioning look. I try to tell her that I am so sorry. This would be an interesting experience. I would think that they should. You may not be able to tell right away, but once at home observe them carefully. If they seem to remember where their food bowl was, were they slept and where they went potty very likely they did remember, so they should remember you as well...Best wishes! I had to move across the country for about a year and take care of my grandmother with cancer. Sadly we had our cats with us for the 7 years of their life but couldn't take them with us because the grandma was allergic. We had been able to give the cats to a society that would care for them the rest of their life, a saimese cat society. All three of them were sisters and they didn't want to split them up since they got along so well. What im wondering is if i come back soon after the year will they still remember me? I would be devastated if they didn't. It takes patience to understand your cat and most people don't take the time. I believe cats have long memories, and I have always had a cat in my life. We both think that cats have long memories - but it is hard to prove. Well he has been around his brothers and me for his whole life, im hoping that will be enough. Fingers crossed! One of my four cats is about to move away for ten months. Will he remember me when he comes back home? Will he remember his brothers? My 16 lb. cat was found as a kitten under a truck downtown. Does he remember that life? As an adult he developed baldder crystals and had a $500 surgery. Now he eats a special costly "prescription diet." Then quit eating while I was away for 2 weeks and became emaciated to 10 lbs. The vet said he was three days from death. (The cat, not the vet.) We had to feed him by pumping mushy food through a tube into his stomach. (The vet, not the cat.) (I'm kidding! Hey!) $2,500 in vet bills later (not kidding! )he is fat and playful and loving as ever. Does he remember his illnes? Does he know I saved his life? Does he care how much that cost me? A great hub about something I have always wondered over. I love cats and would be lost without my little feline companion. I can tell you that cats remember things! Especially bad treatment. We had a neighbour who used to bother our cats. My cats always avoided his presence! How long has she been away? You can tell she remembers you if she tends to be wary with strangers and acts friendly towards you upon seeing her again, best wishes! i had to move my cat away ...my mom hate them ...and im afraid she will forget me if i return her back home?? I've always thought my cat had a great memory, so now it's nice to see that others have noticed our feline friends' ability to remember events from long ago as well. If only my cat would remember that I don't like waking up to meows at 4am! She's worth it though! I agree cats have excellent memmories. The cats on the farm know when we're near them they are going to get some one on one attention that they love to share us. Cats are very smart. They understand English. They even occasionally try to pronounce it with hilarious results. "Raururr!" is an attempt to say "Robert!" I used to have a little female named Hecky who was the first pregnant cat I ever had. I loved her dearly and was overjoyed at her pregnancy. So I fussed over her and gave her lots of attention and then the night she was ready to have her first litter, she decided to do so on the 500-page manuscript of my first SF novel. Hastily I moved the cat, closed the drawer with the novel, put a wooden box where the drawer (thankfully a bottom drawer) was and gave her pillows and blankets. She was content as long as I was nearby. She started having contractions and some friends were over. We watched her have the kittens. She purred at me and appreciated the Lamaze petting I was giving her, gently pressing with her when she contracted. It seemed to make her feel better. The first one got stuck -- it was a huge newborn and I think she gave birth about a week or so late because it was also very well developed (as I found out later). Poor kitten was breech. Rear end came out and tail spinning, feet kicking, she tried to climb back in. Hecky got up and scraped around the side of the birthing box yelling my name. There was no way I could get a vet for her at 2 in the morning, so I dared to do what seemed obvious -- gently take hold of the kitten and pull. Pop. Out came Fuzzy, the biggest kitten she ever delivered. She had five more with no problems. I kept up the Lamaze petting all the way through the process and then discovered that I had a six pound wife and kids. She immediately decided that I was their real dad, her date out there in the back yard had nothing to do with them. I wanted the kittens that much so obviously I'd just wished them into her or something. I wound up kittensitting and handled them from birth. She did not reject the human-handled newborn, she just washed her and then washed the kitten goo off my hand. For weeks every time she needed a break she dumped kittens in my lap, till they were so mobile that she carried 24 out of six kittens patiently into my lap to get a break. I got the nickname Pernicious Kittenmonger and found local homes for them all online. She got pregnant again because I hadn't had the money for her neutering. She started getting contractions, walked into the room and screamed my name stamping her tiny feet -- she refused to deliver without hubby holding her paw and doing Lamaze petting. I loved that cat so much. She did get neutered eventually but I'll never forget helping her with the first litter -- and her refusal to have any more without me in attendance. They did all grow up to be unusually sweet tempered, human loving little cats too. I found out the accidental way that early handling doesn't hurt them one bit. thats pretty weird terry. yeah i think cats r smart and can remember. I think they're smart too. I also don't get some dogs. I was south of the border with a family and they moved to a new house, left the gate open on purpose so the dog went out a few blocks away and came back in the gate. I know since I went for a jog by the beach, go figure. Maybe he left his scent there? Even still, I think felines have better memory.